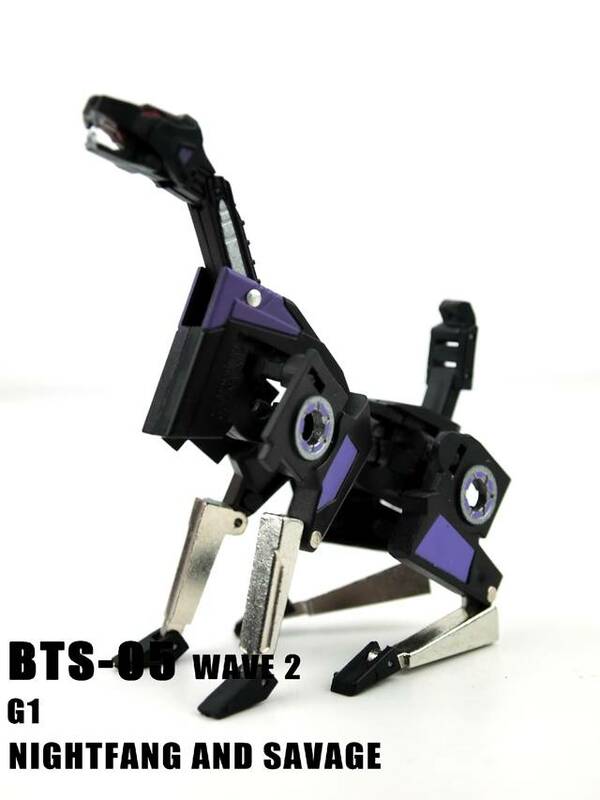 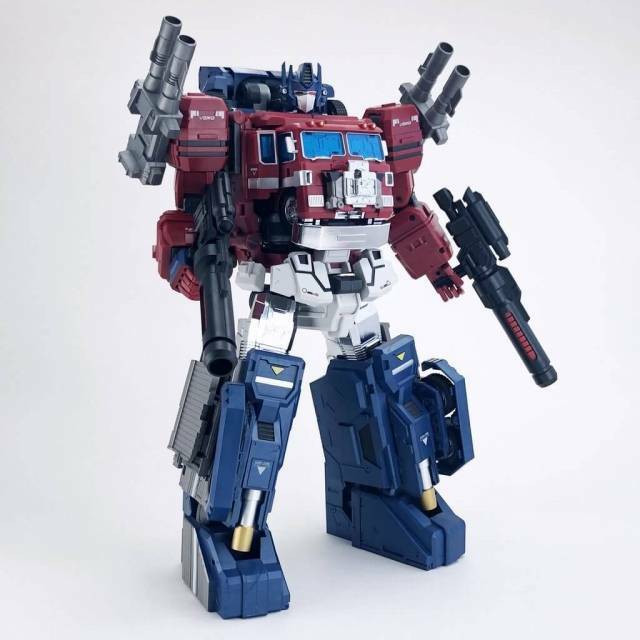 These custom pieces from BTS toys are fully transformable and inspired by G1 cassettes! 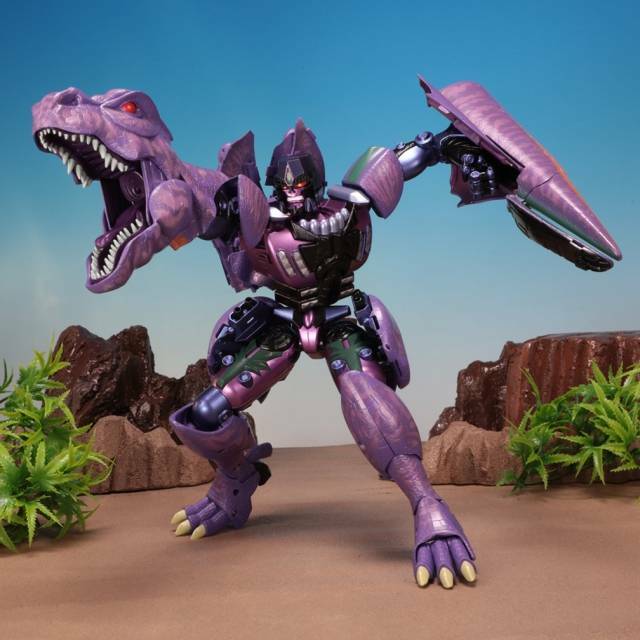 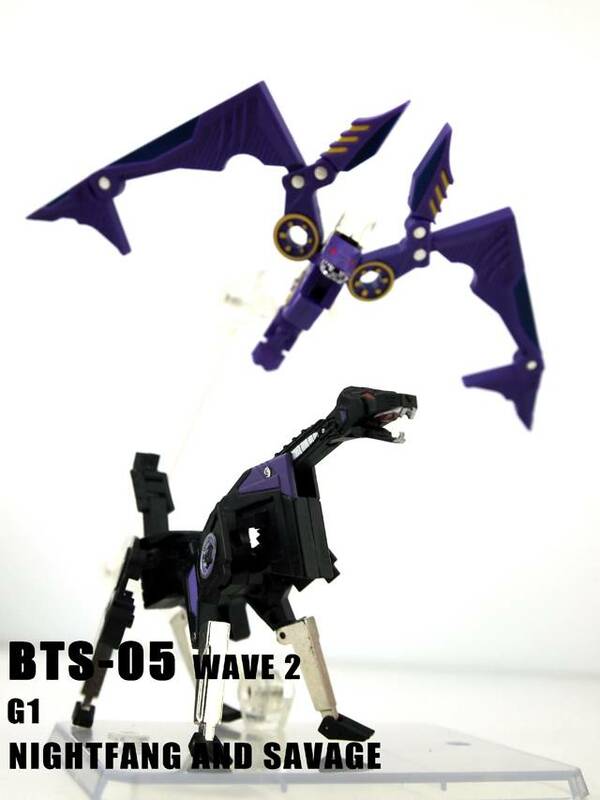 Also these figures can combine with BTS-05 Tremor and Frequency! 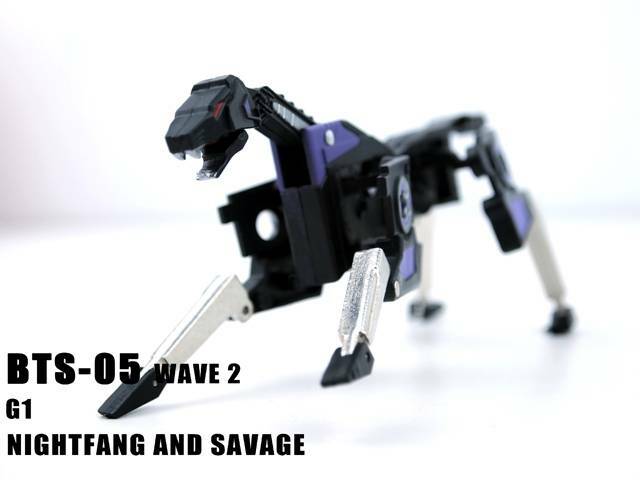 Plain and simple, if you are a fan of Ravage, then BTS Savage seals the deal. 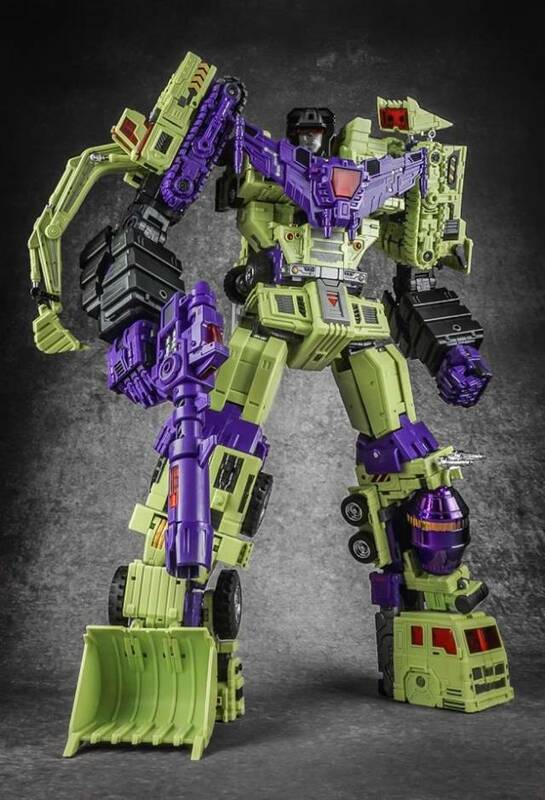 A super impressive figure, but the only drawback is Savage cannot equip Ravage's missiles. 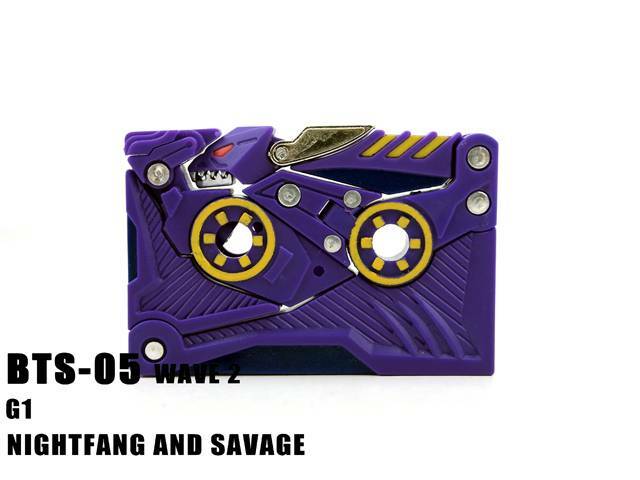 But still Savage is amazing. 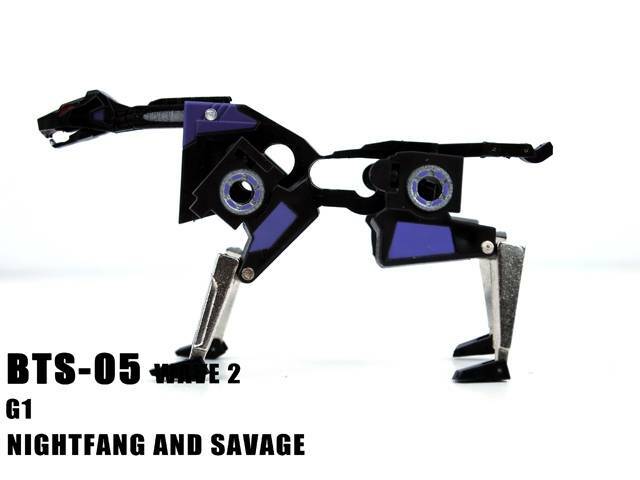 Nightfang is OK. 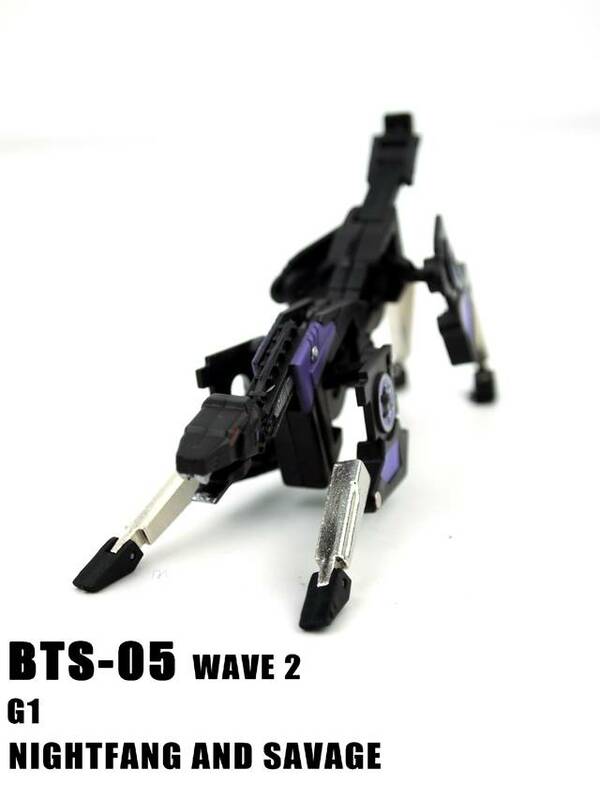 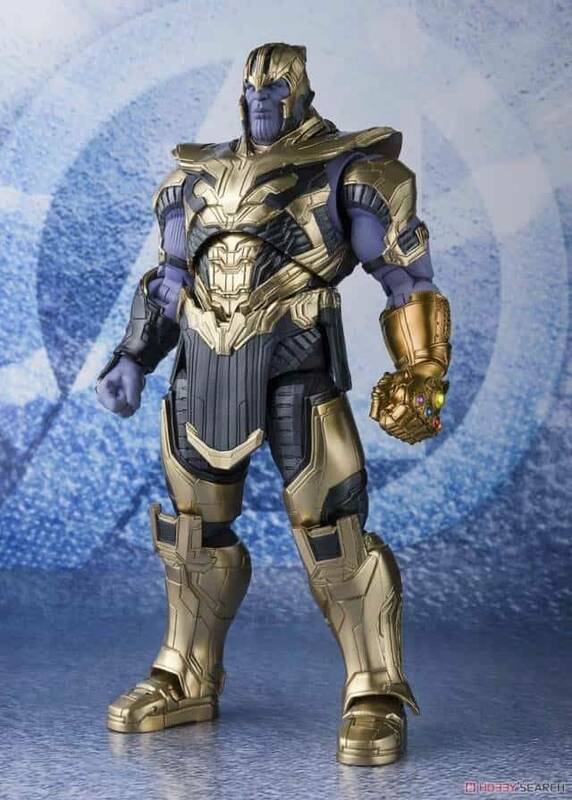 It lacks an important part that Ratbat has: feet. 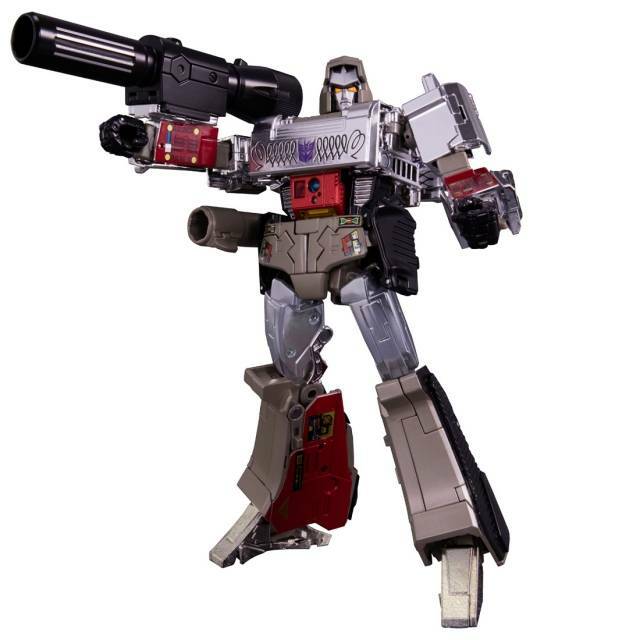 When attached to the BTS "Frenzy" and or "Rumble" 9it looks pretty good, but I usually keep it inside Soundwave / Soundblaster. 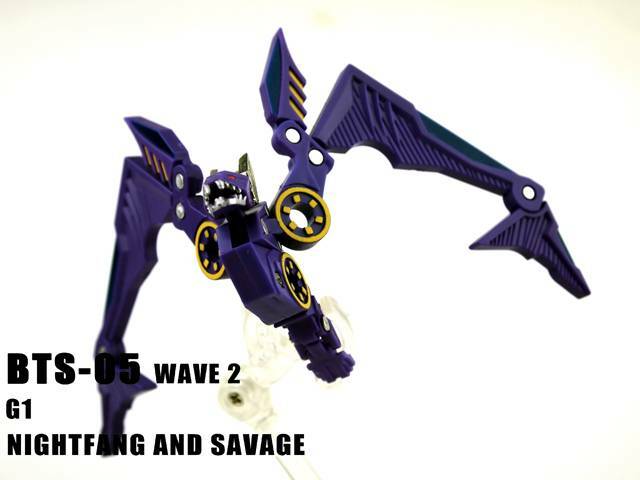 Like I said, though, the set is worth it for Savage alone. 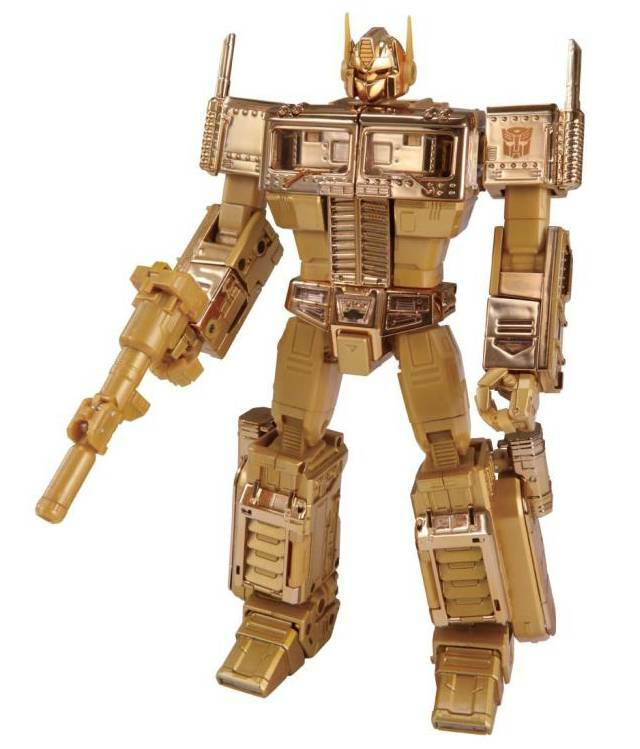 BTS sure is making a name for itself with the release of its Sonicron and the Minions sets. 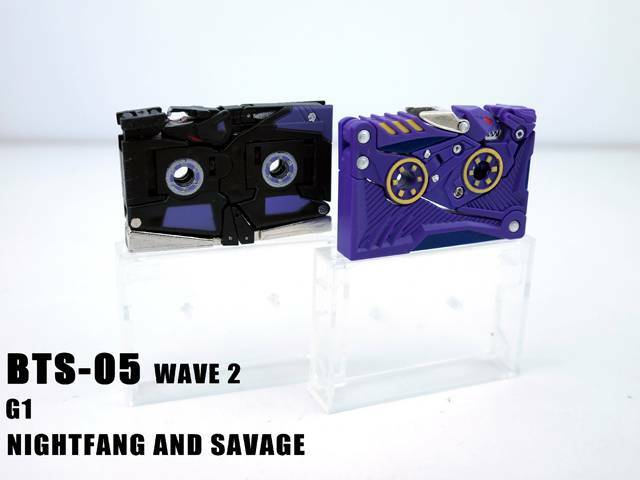 With this new duo, recently released, BTS gives us an updated take on the fan-favorite cassettes , released as Savage and NightFan. 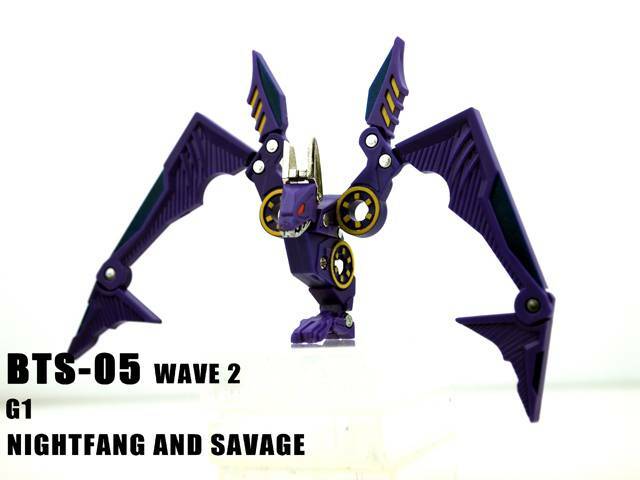 Like their prior set, Savage and Nightfan feature an all new transformation for a more functional, 3 dimensional character representation. 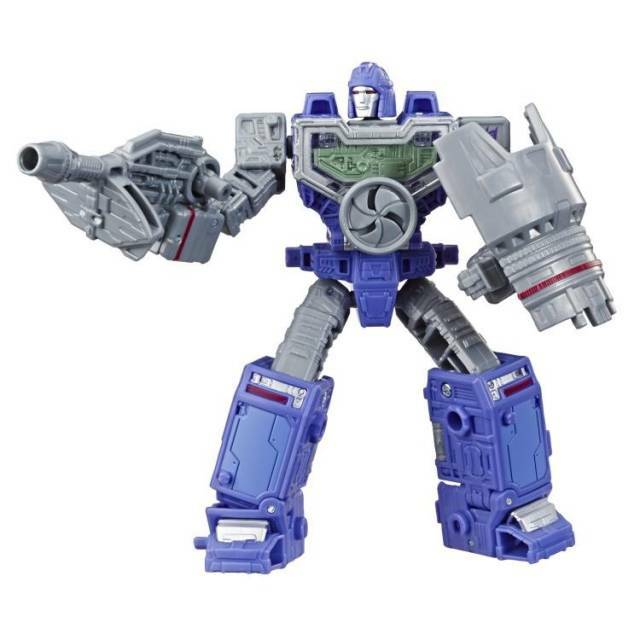 More notable with Savage, who's shoulders and hips fold outward to allow for a highly poseable "Cyber-Cat", this new transformation still allows both characters to transform into perfect G1 Sized Cassette tapes that fit perfectly inside both BTS-01 Sonicron as well as Soundwave! 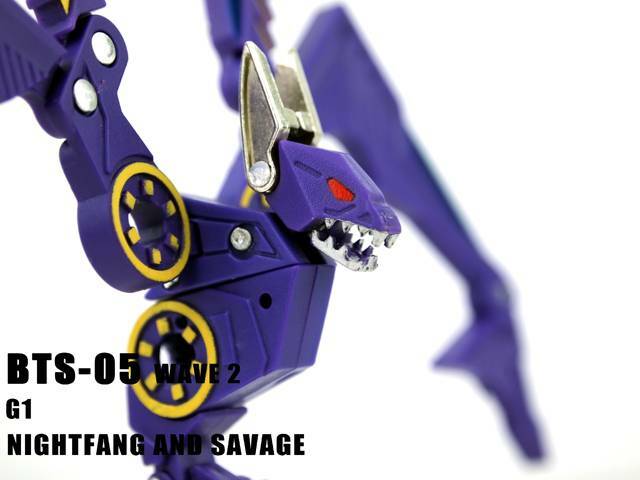 Savage can also equip the battery-like pile drivers from the first set of minions on his hips, and Nightfang features the ability to peg into the minions, creating a humanoid like bat character. 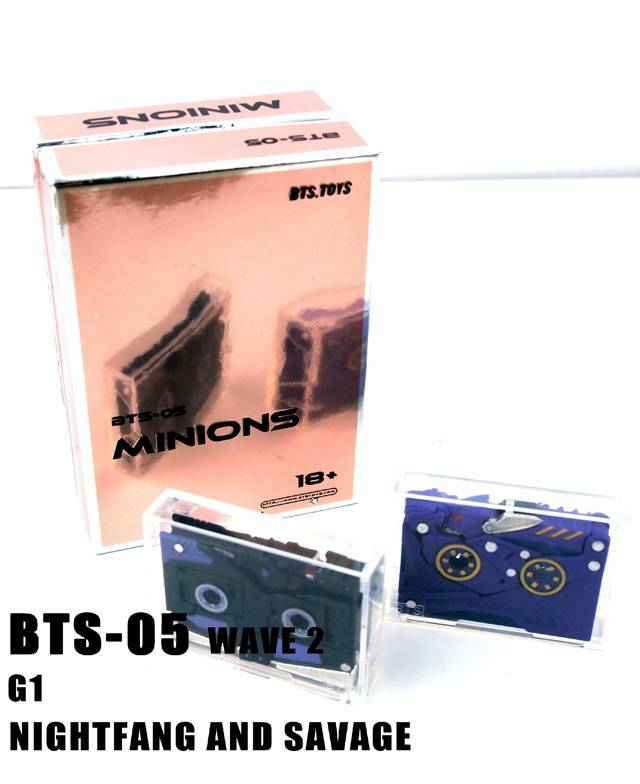 All in all, this is another fantastic set of cassette-warrior by BTS and here's hoping we see more released in the future!